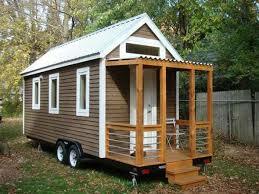 While doing some client program development, I was watching a “tiny house” marathon and the more I thought about this new trend, the more it made sense to me. It forces you to simplify and to declutter in a big way. Get back to basics. A couple of my clients live in mobile homes so space can be limited however there is no limit to exercises that can be done in even 6 feet of space. One of my clients does Monster Walks down her mobile home hallway. If exercise and movement is important to you, you will get it done no matter what your space constraints are. Watching the show made me realize how getting back to the basics in fitness exercise is a good thing and how effective a simple program can be. I put this to the test in my studio which isn’t big by any means. It was an inclement weather kind of day where walking was treacherous and it was bitter cold, so I put together an interval program of walking in circles around in my studio area, with some dumbbell resistance exercises interspersed between the walking intervals and even some Jumping Jacks, High Knees and Skaters to get the heart rate up. After 20 minutes, I had a good sweat going and didn’t have to venture out into a snowstorm, drive to a gym or feel like I didn’t get a good workout in that day. After 40 minutes, I was soaked through and ready for the shower and breakfast. Six feet of space, some rubber bands, dumbbells and a door you can attach the bands to is all it takes to get a good workout in if you have a very confined area to exercise in. Kudos to my clients who don’t let a small space limit their ability to exercise! What’s really great is they are getting results!